Kolokithopita: as fun to say as it is to make. A great meal for the summer that can be served easily as both a full meal or with other Greek dishes; my personal favorite accompaniment would have to be some homemade Tzatziki. With only ~10 ingredients, this three-herb pie is very simple to make but will certainly impress. The cripyness of the phyllo (filo) dough contrasts perfectly the moist and delicious filling. This meal is both cheap and vegetarian, two things I love. Preheat oven to 350°. Grate zucchini and squeeze out water with cheese cloth. Chop up mint, parsley, dill, green onion and red onion. 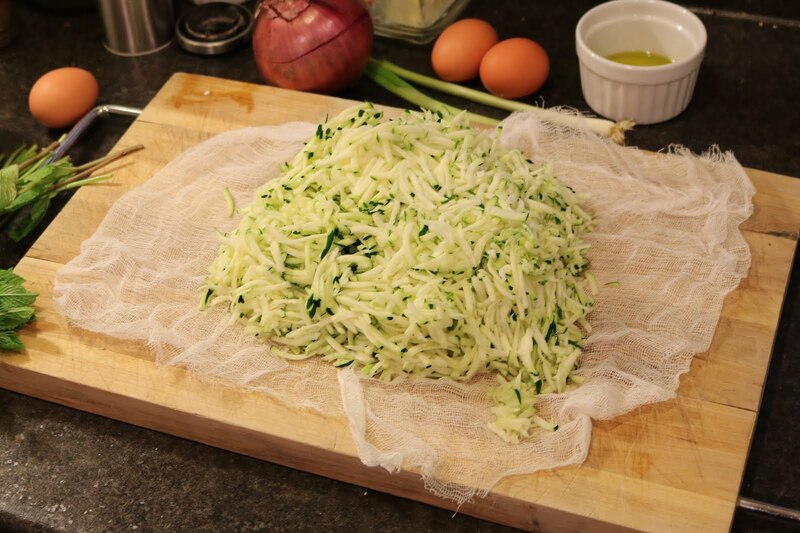 Combine zucchini with chopped ingredients and add eggs, feta and Greek yogurt. Stir up. Grease baking dish with olive oil. Place sheet of phyllo dough and brush with olive oil. Repeat with half of phyllo dough sheets. Add filling to pie and spread evenly. 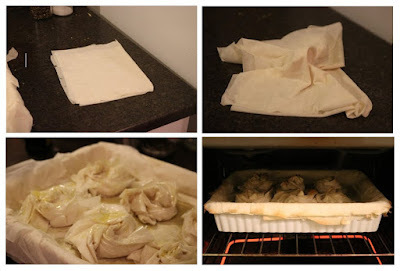 Cover with remaining sheets phyllo dough, brushing each sheet with olive oil. Bake for 30-40 minutes. Let sit for 10 minutes and enjoy!